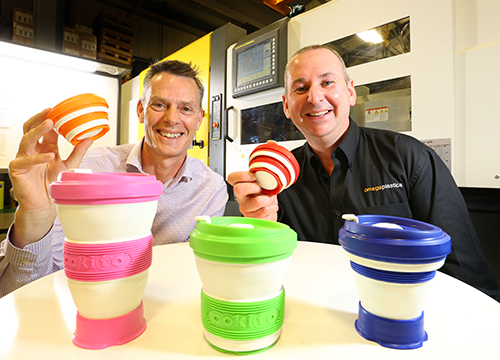 Saving the planet one paper cup at a time, the future is looking through for Andrew Brooks, investor of the Pokito collapsible cup. In November 2016, Andrew, inventor and company director of Pocket Enterprises, launched a campaign through the popular crowdfunding website, Kickstarter, to help him raise the £12,000 he needed to bring his concept for the Pokito to life. As work about his campaign spread however, Andrew ended up raising over £100,000, putting Pokito in the top 1% most successful Kickstarter campaigns of all-time, an incredible achievement for a British-owned company. The Pokito is a reusable travel cup which can be adjusted to match the size of a user’s drink (from 8oz espresso to 16oz grande) and has been designed to collapse when finished with for ease of storage and portability. “It’s astonishing to think that if you stacked all of the paper cups that are thrown away each day on top of each other, they would be 7 times taller than Mount Everest. “Every day, more than 7 million paper cups are thrown into British bins, 99% of which end up in landfill sites instead of being recycled. Made from food-safety approved and eco-friendly TPE (thermoplastic elastomer) and PP (polypropylene), the Pokito has been designed with the planet and the consumer in mind. With built-in insulation to help keep the contents hot whilst protecting the users’ fingers from burning and a unique raised lip to help minimise spills while drinking on-the-go, the Pokito is marketing itself as the busy commuter’s new best friend. Andrew has already sold 20,000 units worldwide and is now on a mission to sell the Pokito into as many coffee shop franchises and independent retailers as possible. Andrew came up with the idea of Pokito back in 2006 while on a fishing trip in Canada. Witnessing the effects of the logging industry first-hand, Andrew felt inspired to do something. “The loggers has clear-cut a whole mountain of its pine trees, all of white were destined for the local paper mills,” Andrew said. 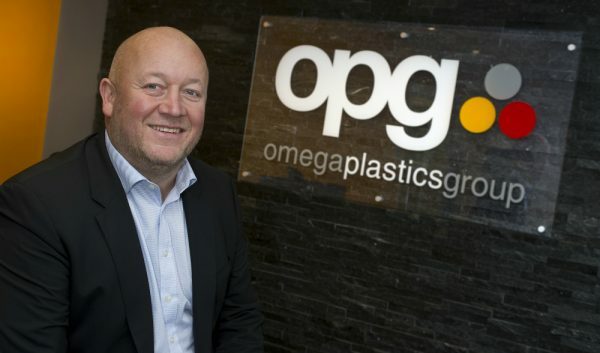 Although the initial design and product development stages for the Pokito were carried out in the south of England, Andrew looked further afield for manufacturers, liaising with a number of firms in Taiwan, Korea, and China before calling upon the expertise of Omega Plastics. “It’s one thing to have an idea, but another to actually put it into practice,” Andrew said. “After a number of conversations with overseas firms, it was apparent that the language barrier along with the time difference was going to cause major issues as the project progressed, so ideally, I needed to find a manufacturer in the UK. “I have always had connections with the North East. My daughter is at university in Durham, I have family living in Yarm in North Yorkshire and our website developer is in Whitley Bay in North Tyneside. 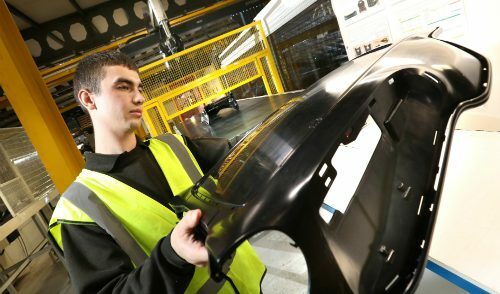 As a group, we provide specialist plastic injection moulding services to a wide range of industrial sectors including medical, automotive and defence. 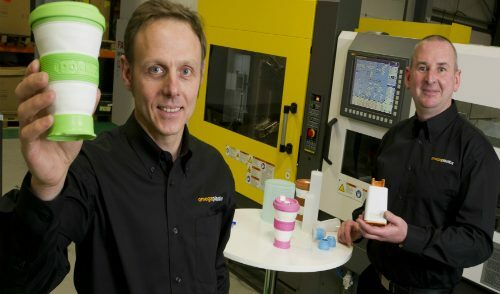 With facilities in Washington, Hartlepool and Blyth, we have established ourselves as a leading plastic manufacturer. We pride ourselves on exceptional levels of customer service we provide our customers throughout the manufacturing process, from its initial designs to finished products. Currently available to pre-order online and purchase from a limited number of stockists in the south of England, mass-production of the Pokito cup has already begun in earnest. “We’re just getting started,” Andrew said. To find out more about the Pokito, follow the project on twitter at: @pokitocup or find out more about what we can offer you and your project requirements by getting in contact.